This kind of talk makes many Christians leery, and makes philosophers of religion shake their heads, but it's also very Augustinian, and in that sense akin to both Christian faith and to philosophy. For Augustine, "confession" means not only confession of faith but confession of ignorance. Augustine famously asks, "What do I love when I love my God?" Augustine is far more aware of the lived experience of his own love than he is of the one to whom his love is directed. Of course, Augustine, who was once "in love with love itself," knows that love can be a dangerous master. And yet it can also be a marvelous guide, and the best thing we do. Jesus frames the greatest commandments—all three of them—in terms of love, after all. During my first sojourn in religious life, I dreamed that religion and I would part ways and I would be bereft. It brought to mind a line from our evening prayers in which we implore God not to remove his love from us …. At some point afterward, I left religious life, but certainly did not feel bereft. Now that I am back, I feel profoundly enriched. I have the sense that my religious life puts me in contact with deep truths and equally deep perplexities. Wettstein didn't return to religion by believing but by coming to stand in awe of God. How important is it to know what God is like when you love God? Is it possible to stand in awe of God without believing in God? Wettstein believes that it is: "In prayer … I have the sense of the presence of the divine, of making contact. But ask me about the party on the other end of the line and one of two things will happen: either I will beg to be excused for not having much to say, or else we will have a very long talk about how difficult a matter it is that is in question." 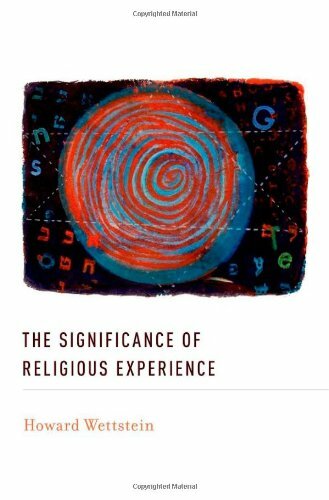 Over the course of the book it is plain that while Wettstein does not want to say much about God, he has a lot to say about this difficult matter of religion. And not being willing to say much about God is not the same as saying nothing about God. If anything, Wettstein's reluctance to make positive claims about God helpfully refocuses our attention, diverting it from metaphysical proofs to the practices of awe and worship. Wettstein's thinking is reminiscent of the spirit of historians and classicists who are haunted by the thought that we have not yet plumbed all the depths of the ancient world. The book is a collection of lectures and essays, each of which stands alone, and most of which have been published elsewhere. Its chief fault is that some of the essays cover very similar ground. This complaint is nonetheless greatly mitigated by the inviting smoothness of Wettstein's prose. Even his footnotes are interesting and well-written. So instead of a chapter-by-chapter account, let me highlight a few of the points that emerge repeatedly throughout the book. Wettstein asks philosophers not to reduce religion to religious beliefs, but to concern ourselves with the actual practices of religion. Wettstein says that a pre-philosophical, biblical religious life does not depend upon settled metaphysical doctrines about God. Wettstein's orientation to religion is naturalistic, but his naturalism doesn't try to do away with God-talk. Liturgy and prayer are essential to religious life. They free us from dependence on feelings of awe, and allow us to enact the values that arise from awe even when we don't feel it. When belief becomes an obligation, we become epistemological legalists. The Bible is not a list of God's qualities we must believe; it is a collection of narratives about God's roles that helps us to live in awe of God. Liturgies are not a telescope by which our gaze can escape the world and see only heaven. Rather, the prayers and stories of the Bible are the means of standing in awe of God, fostering love for neighbors, and practicing gratitude.